Happy Hunger Games...and may the odds be ever in your favor!! This homemade costume for groups entered our 2012 Halloween Costume Contest. 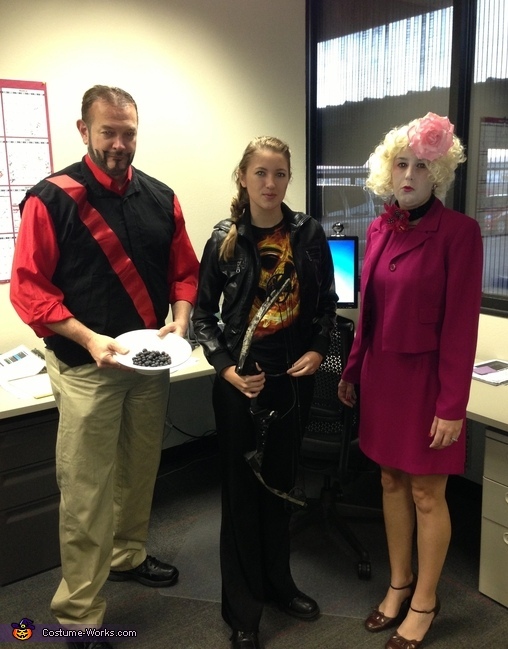 I'm wearing the Seneca Crane costume...my daughter Taylor is Katniss Everdeen and Amanda Bravo is Effie Trinkett.